Today’s post is an updated repost from April, 2015. Gift cards are one of our most favorite gifts! We certainly don’t complain about getting cash either… but when we get cash, we almost always just put it in the bank and forget about it. Gift cards, on the other hand, force us to use them at the intended location – which means we will eventually get out at some point! In fact, Dave and I love gift cards so much that during the holiday season (when all the stores and restaurants are offering special promotions) we often stock up on gift cards to our favorite places – and enjoy the extra bonus rewards and coupons that go with them! Obviously, with all these gift cards coming and going, I need to have some sort of organization method to keep them organized, to keep them easily accessible, and to keep track of the balances on each card. I realize there are Apps for that – and I’ve tried a few of them. However, I’ve never liked any of them enough to get rid of my old, tried-and-true system that has been working well for me for almost 15 years now (starting when I was in college). I simply put a sticker or piece of masking tape on the front of each card (leaving the card logo still visible) and write the monetary value of the card on the sticker or tape. As you use the card and the balance decreases, cross out the old balance and write the new balance below. Put card back in designated storage bag/container and continue re-writing the new balance until the card has been used up. 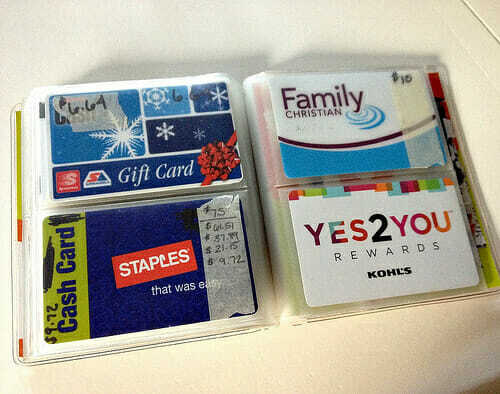 I store all our gift cards in a simple business card organizer (similar to this one) I got from a company YEARS ago. It works fabulously well and is quite small so it easily fits inside my diaper bag, or whatever other bag I’m using. As you can see by the images below, I also use this business card organizer for store reward and loyalty cards. This is the method I’ve been using for about 15 years and I’ve never ONCE lost or misplaced or forgot about a gift card. I’ve also gotten LOADS of comments (and compliments) about my super simple system of writing the value on masking tape on each card. I told her I had been using this method for many years and it does work really well! The thing I love most about this super simple method is that it’s “instant”. I always have a pen with me (or close by) so I can INSTANTLY write the balance on my card and not worry about taking the paper receipt with me or trying to store the receipt with the card (which makes a mess). I also INSTANTLY know how much is on my cards at all times without doing a balance check online or by phone. And by keeping all my gift cards in one central location, I can INSTANTLY know where all my gift cards are when it’s time to use one. 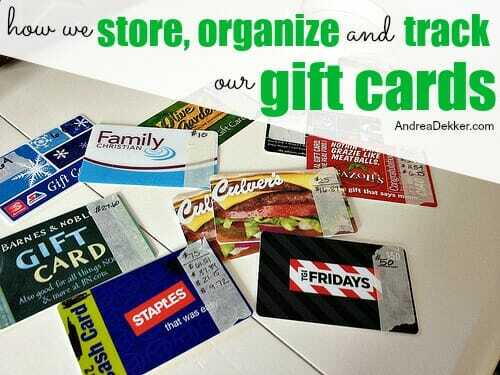 Do you have any other fabulous methods for organizing gift cards? Thanks for the great article, Andrea. Organizing the gift cards is a big challenge. 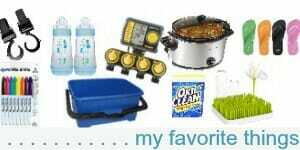 In our family, we tried to use a similiar method as yours but it was not easy when my wife and I both did shopping during the week. The drama was that you had to take cards out of the organsizer if we went to different shops. Then, we always forgot to put cards back … we also do regular gift card bargain hunting during promotion, buys 5+ cards in one go. Very hard to keep track of all these cards especially when they are partially used. As a IT person, I tried to look for a mobile app that could help with the situation. There are a few card wallet apps but they are mostly for rewards card or only for one specific type of card. Then I started to build my own app that can store gift cards and also do live balance check. It was hard work to search for all different types of gift cards. If you are a person into mobile, might worth trying doing it digitally especially when the card merchant supports online balance check. Basically, you log into their website and enter card number/pin to find out balance and transaction history. Unfortunately, not all cards support it. Also for certain cards that print balance on receipt, you can maybe just take a photo of the receipt. I use a coupon organizer from the $1 section at target. I use the divider tabs to sort them by restaurants, clothing, movie, gas, etc. Also just jot the balance with a sharpie–although some of the cards have busy designs or black backgrounds and so I see the value of the tape strip. Back in February I was closet cleaning and decided to get rid of a plethora of old gift bags. To my surprise I found 4 gift cards hiding in one that I had forgotten about. Close call. I must have tucked them away after presents on Christmas eve for the ride home and folded up the bags later not realizing. Almost $100 in value. Funniest thing is that the kids have never wondered where their cards went. 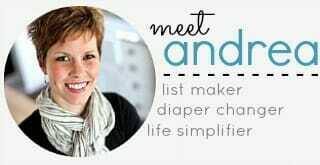 I use a similar system Andrea and it has worked well for me also for about 19 years! When our kids started in the Christian schools and we joined the TRIP program I wondered what to do with all those gift cards. 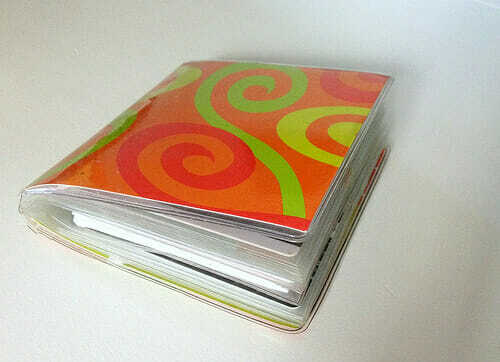 At that time the school sold a mini “wallet/organizer” to keep them in and I’ve used one ever since! One additional thing I do that I wanted to share for you & your readers is that I keep a mini post-it notepad in the back of the organizer so that it is always handy to put on a new gift card or to replace an old post-it when I’ve used it up by rewriting the balance enough times. This happens on my Meijer and Speedway cards quite often as we reload those every week or so. I’d try to attach a picture of it but I can’t figure out how! 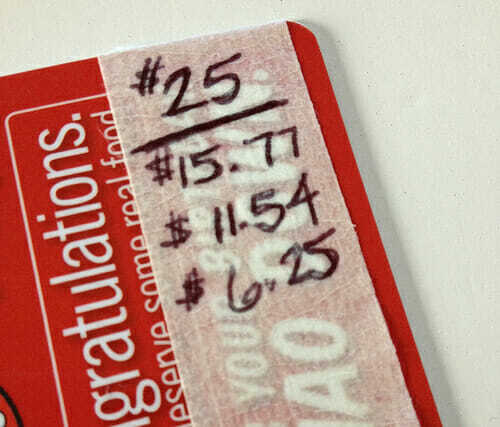 I use a similar wallet, but just write on the gift card with a Sharpie. The wallet I have organizes alphabetically. So helpful! What a great system! Wonder How I missed the past post on this? Instituting right away. Thanks Andrea!! haha — I dont’ know. You haven’ missed many posts over the years! awesome — thanks for sharing Nicole! What kind of tape and what kind of pen do you use on the gift cards? My Sharpie pen smears. Is the kind of tape the key to this? or is it the pen? or both? Thanks. I find so many of your tips very helpful! I keep the gift card wallet in my car — which I realize might not sound super safe, but they are tucked away pretty well, and I’ve never had any issues. This way, they are always with me whenever I need them. As far as remembering to actually use them -that I can not help you with! I guess I we mainly decide to shop or eat out based on the gift cards we have, so that makes remember to use them really easy! haha — well I’m certainly not an expert, but glad my opinions help you feel validated 🙂 That’s all that matters! I don’t use a lot of gift cards. When I do get them, I tend to use them right away, but I can relate to storing them in the car. We get our movie tickets at Costco and keep them in the jockey box so that we never get 30-minutes down the road to the theater and miss our movie (or have to pay full price–gasp!) because we forgot them. I’ve never thought about taking advantage of gift card promotions for myself! That’s a great idea if I shop there anyway! I’ll pay closer attention to those in the future. yes, definitely pick up some gift cards for yourself! A jockey-box? What is THAT? I’m guessing that’s the glove compartment. I love seeing new terms for things! Yesterday I was reading a book set in England and spent five minutes googling to learn about airing cupboards, which we certainly don’t have in the U.S.
haha — you’re probably right! So funny! Thank you so much for this article! Almost every time I Googled “storing gift cards” I would get site after site of “convert them to digital!” (the unspoken ending to this would be, “You Luddite, you!”). But that won’t work for me, because I am trying to get gift cards together (I do surveys) to send to my son and daughter-in-law for Christmas. I am on a fixed income and this way I can get them presents with little or no money. Never considered business card folders! I won’t have that many to send them but I wanted something they could keep on their kitchen counter to remind them they can always go out to eat (most of the cards are for restaurants). you’re welcome 🙂 glad to help!! Have been thinking about this post since you wrote it and it spurred me on to look for a zippered folio. Found one I liked on Amazon (zippered business card holder by Rolodex) and ordered it with gift card money earned from SavingStar (so FREE in my eyes!). It just arrived and I’m having such fun filling it up with gift cards, loyalty cards and membership cards. Thanks for the idea! yay for organized gift cards!! I store my gift cards in an old cassette case and it works perfect inside of your purse or bag, that is if you don’t have a ton of cards. The case keeps them contained and doesn’t take up much space in a bag. That’s an awesome idea Barb! I definitely need a system for this… I’m a total mess with gift cards. Thanks for your ever practical solutions! My husband and I are both teachers, so we get lots of gift cards too. = ) I do almost exactly the same thing as you. As a teacher, I own a million Sharpie pens, so I keep track of the balance directly on the cards with a Sharpie and then keep them in my holder. I am never far from Sharpie, so I can keep the balances up to date easily. Great ideas! I don’t get gift cards often, but I will try this next time I do. Love the idea of doing this for loyalty rewards program cards. I have a ton of those cluttering up my wallet. “Instantly” is the key word for me here. There are so many apps for almost anything under the sun- but it does sometimes add schlepp to you life. 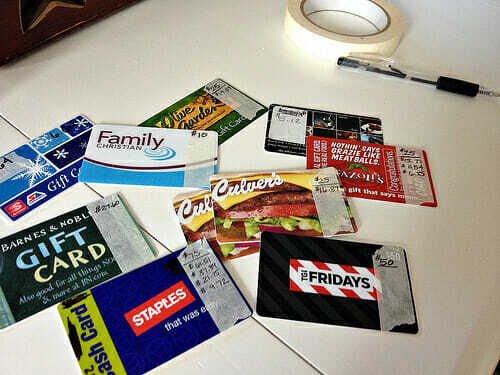 Masking tape might be the most underrated tool in the house, from marking gift cards to frozen goods! yes… I love technology, but sometimes, pen and paper (or masking tape) are just easier! I have a plastic zip bag in my purse that i keep coupons and cards in …and a sharpie marker. I just write the balance on the front of the card when i use it ..no tape involved. Great idea, Andrea! I have a gift card wallet for all my gift cards because, like you, we get and use a lot of gift cards! I like the idea of masking tape labels. I’m going to give it a try! My “problem” is that I’ve worn out two gift card wallets from their regular use so need to get another one now. I do love having all my gift cards in one place! 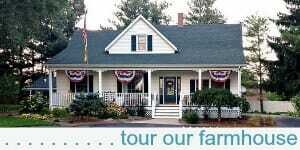 I just joined our school’s TRIP. Super exciting because for a lot of purchases I can decide in the store that I need an electronic gift card for a certain amount, purchase on the TRIP website, and have a few dollars or cents taken off my tuition bill just by shopping and purchasing items I already use. But there are a few you need physical cards. Grocery and gas are big ones. I can reload those so I am not sure masking tape would work the best for that. I haven’t gotten a system down yet but this does sound easy.